Operating Profit of Q1 was ¥19 billion exceeding our forecast. 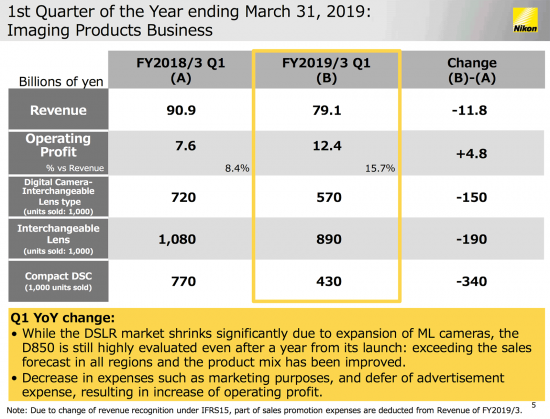 Operating Profit increased ¥6.6 billion in spite of the year-on-year revenue drop, thanks to the continued shift toward high value added digital cameras and the average price hike of highly profitable FPD lithography systems. D850 is still highly evaluated even after a year from its launch: exceeding the sales forecast in all regions and the product mix has been improved." 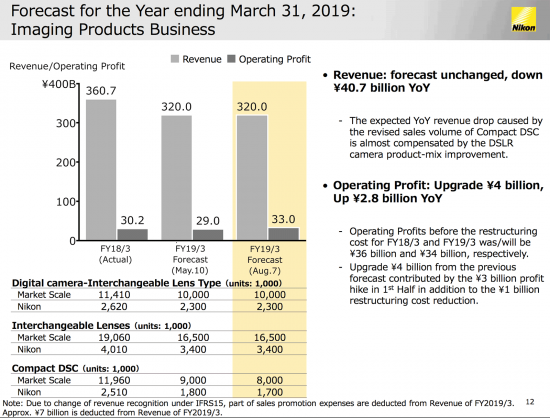 Reflecting Q1, 1H Operating Profit is upgraded to ¥27 billion from ¥25 billion. The annual forecasts of both Operating Profit and Profit attributable to owners of the parent are upgraded to ¥74 billion from ¥70 billion (+32% YoY), and to ¥53 billion from ¥50 billion (+53% YoY) respectively. Profit structure strengthening including fixed cost reduction improved ROE to approximately 9%. ¥54 (+¥18 YoY) for annual dividend, ¥27 for interim dividend. 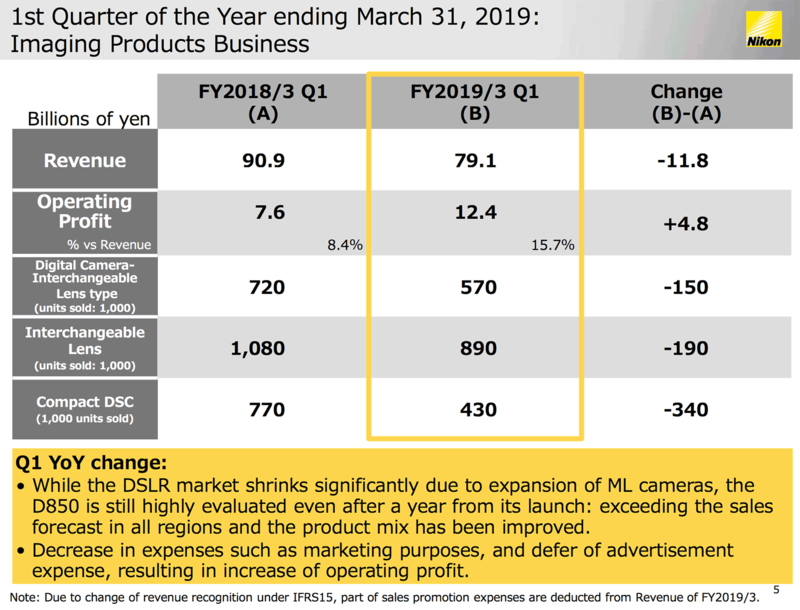 Outlook for imaging products: full-frame mirrorless camera (featuring a new mount) and exclusive lenses will be launched to continue the profit upward trend three fiscal years in a row and on. Additional information: Revision of the Dividend Forecast | full set of financial results.